EARLY BIRD OFFER – are you tournament ready? The 28th Cambridge Volleyball Tournament is to be held on 3rd – 4th August, 2019. 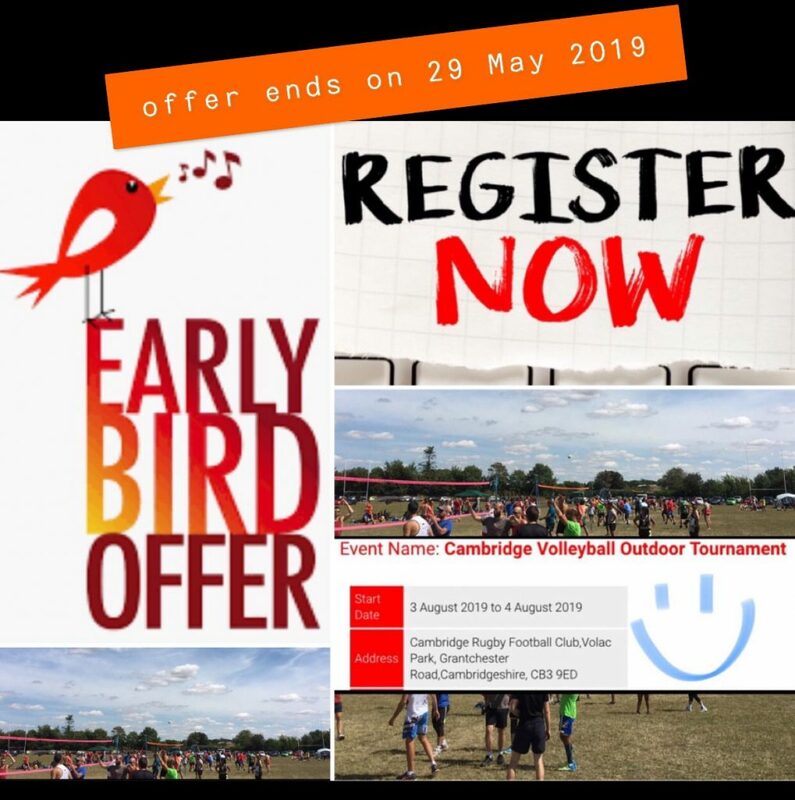 Early bird offer ends on 29 May 2019, please follow the link 👉 http://www.cambridgevolleyball.org/2019tournament-entry-form/ to register!